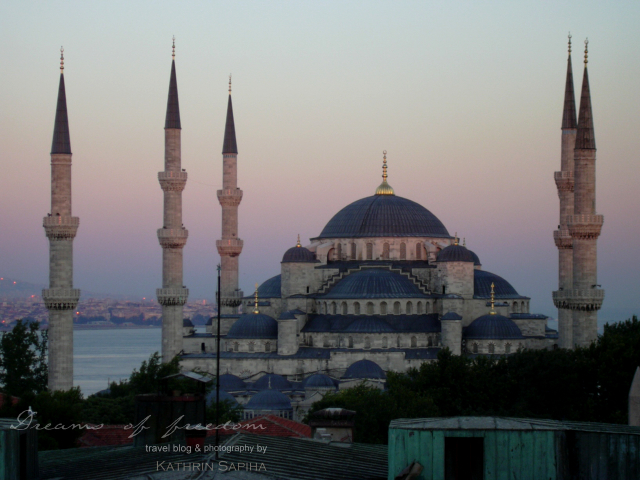 One of the cities on my bucket list was (and still is – even after my trip) Istanbul. A few years ago I went with my cousin to the only city in the world that is located on two continents. The arrival took a little bit longer than expected. Within a few hours we should have went from Berlin, Germany via Frankfurt to Istanbul. The first plane however had a technical error, which cost us several hours and trouble. Eventually we flew from Berlin to Frankfurt (were we missed our connecting flight), from there we went to Vienna – Munich and then Istanbul. The trip was anything else but relaxing but I definitely prefer technical difficulties on the ground to those in the air. The taxi ride to the hotel at midnight was a different kind of hell ride but we survived this one as well. After a few hours of sleep, everything looked better. 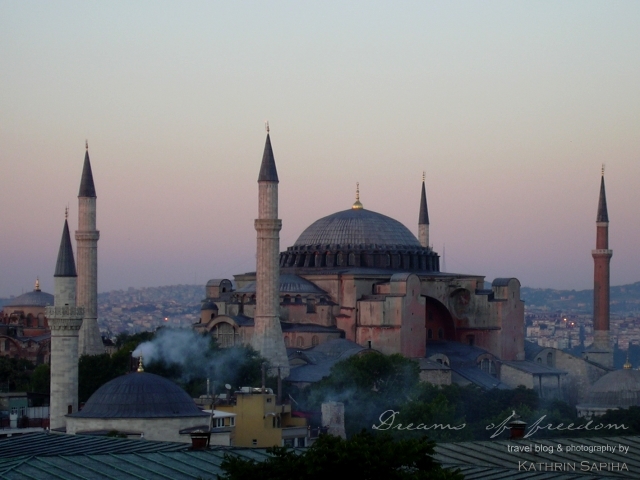 We had the Hagia Sophia and the Blue Mosque right at our door steps. The perfect chance to start exploring the city. 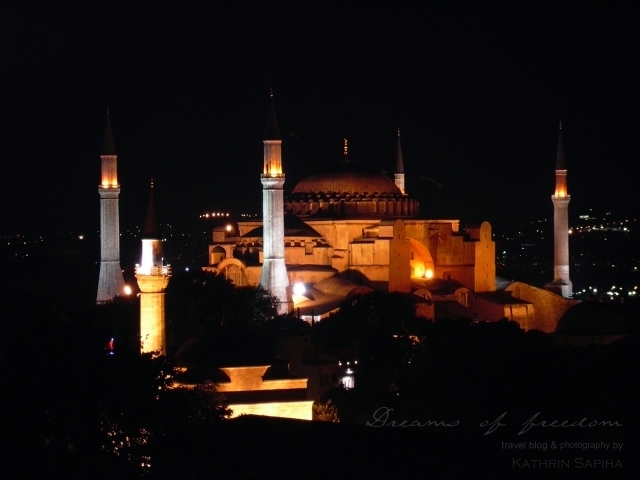 Istanbul is so full of culture and history, that it is impossible to see everything within one week. Make sure to find out what is important for you before your trip, so you don’t miss anything. 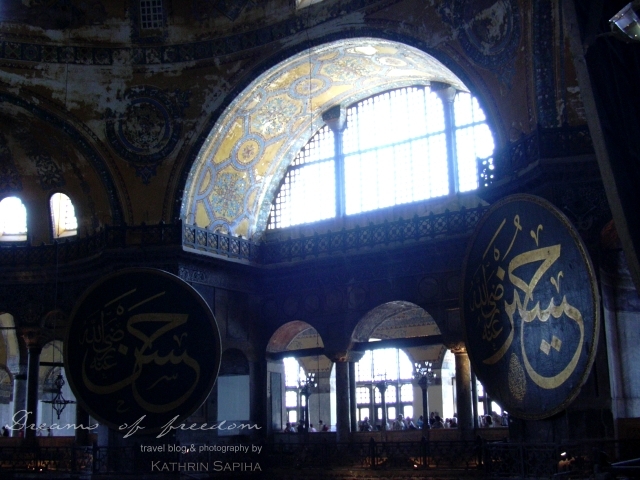 A few places that are a must is definitely the Hagia Sophia – a former Byzantine church, that was turned into a mosque and later became a museum – and the Sultan-Ahmed-Mosque or “Blue Mosque”. 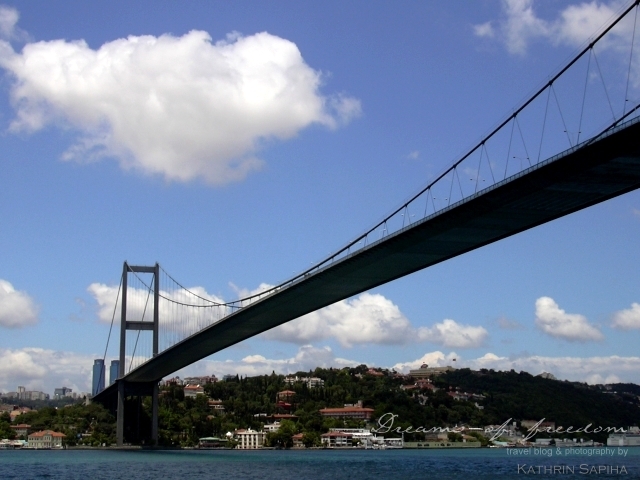 Two landmarks that you actually cannot miss when visiting Istanbul. 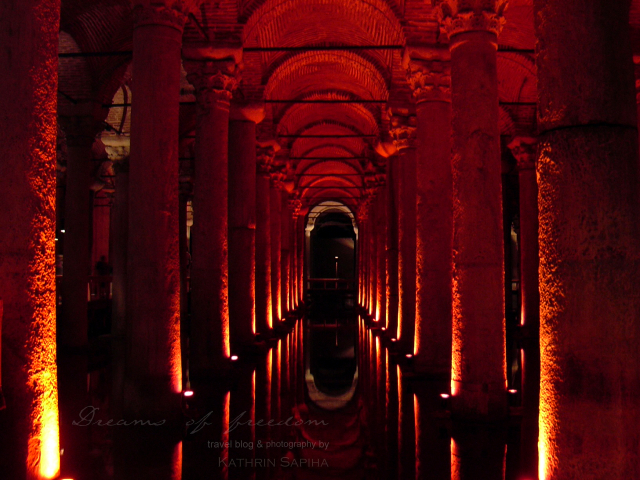 For very hot days I can recommend the Basilica Cistern (Yerebatan Sarayi), which once provided the Great Palace with drinking water and also is one of the scenes of Dan Brown’s book “Inferno“. There are more than 330 pillars in this 1500 years old water reservoir that take the visitors on a journey into the past. 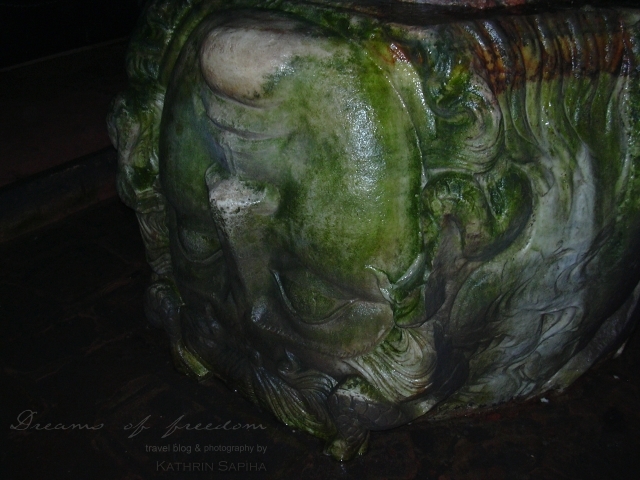 Underneath some of the columns there are stones shaped like the head of medusa as a base. Recycling is not an invention of the modern age. To enjoy the city in all it’s beauty, a climb onto the Galata Tower on one hand and a boat ride over the Bosporus on the other hand will be worth your while. We got to see Istanbul from a different side and in beautiful sunshine and we could not help but notice the similarity to San Francisco. Even today, after I got to visit San Francisco, my opinion still hasn’t changed. Not only the huge suspension bridges but also the amount of (actually interesting) sights, makes these cities to the two most beautiful cities in the world to me. You can almost spend a whole day in the Topcapi Palace. We got there late and parts of it on the inside, such as the harem were closed already. A personal highlight for me were the restaurants underneath the Galata Bridge. 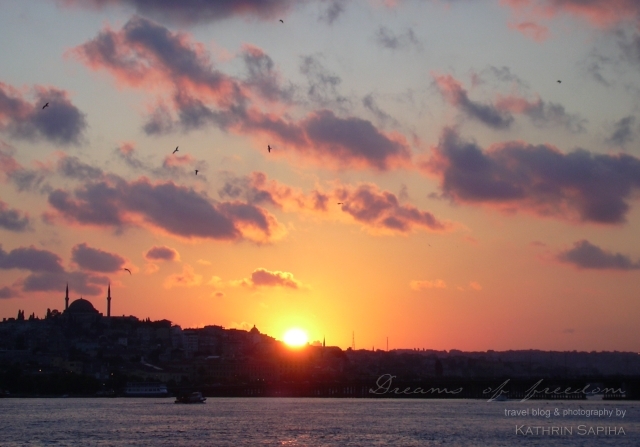 There is no way to let a day in Istanbul fade away more beautifully. Of course that is, if you don’t go party afterwards. The night life in Istanbul is supposed to be very nice as well. After a whole day of walking around I am more than happy to snuggle up to my hotel room pillow. The search for one certain thing during this trip was not fruitful. During this week in Istanbul we tried a lot of “Döner” (that is a piece of flatbread with beef and lamb meat, fresh vegetables and a garlic- herb or hot sauce) – in english you may know it as “doner kebab” without the umlaut. I can tell you one thing: If you want a real “Döner”, you have to go to Berlin! How did you experience the city? Have you been as impressed as I was and would you like to go back again? 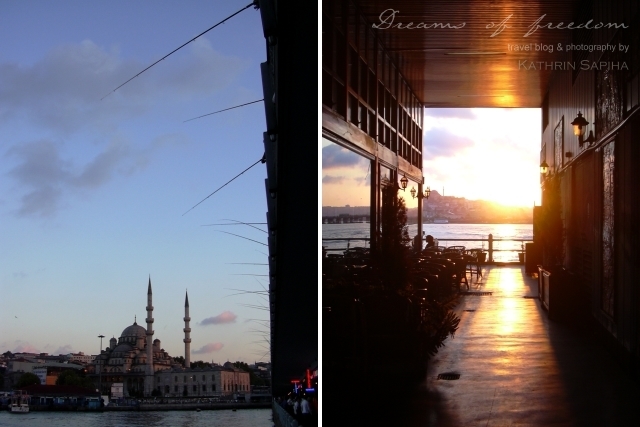 Even though I prefer the warmer temperatures, Istanbul is a beautiful destination throughout the whole year. I have been to Istanbul and wrote about its street food in my travel blog, but I can’t say it is one of most beautiful cities in the world. It is an interesting city, but not unique, when there are Venice, Rome, or Bruges. 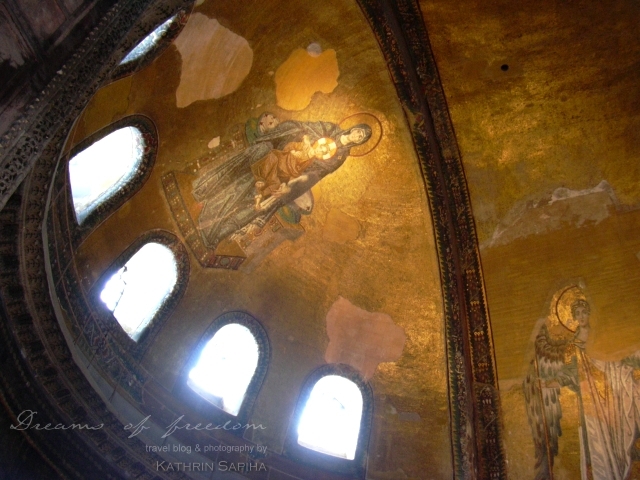 I loved Istanbul- and agree that its still on my list (we didn’t even get a chance to visit Hagia Sophia), the city was delightfully charming. Unfortunately I did not leave with a doner recipe either! Been three times and will keep going back! 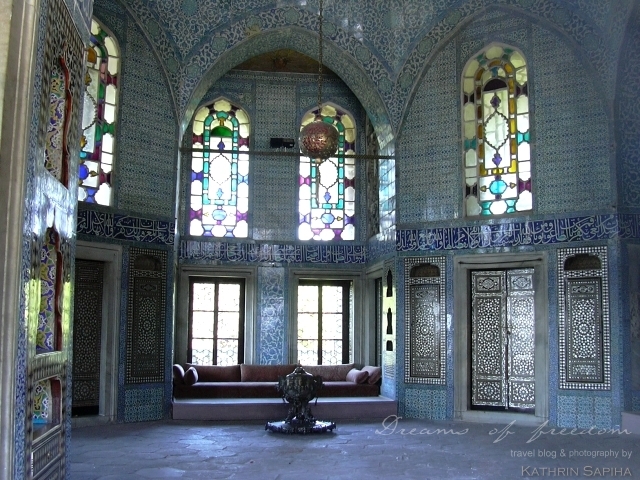 Sorry to hear your travel there was less than flawless, but it looks like your time in Istanbul made up for it! Great photos–especially love that one of the bridge. I had planned a trip to Istanbul last year but it didn’t work out. Hopefully soon though! 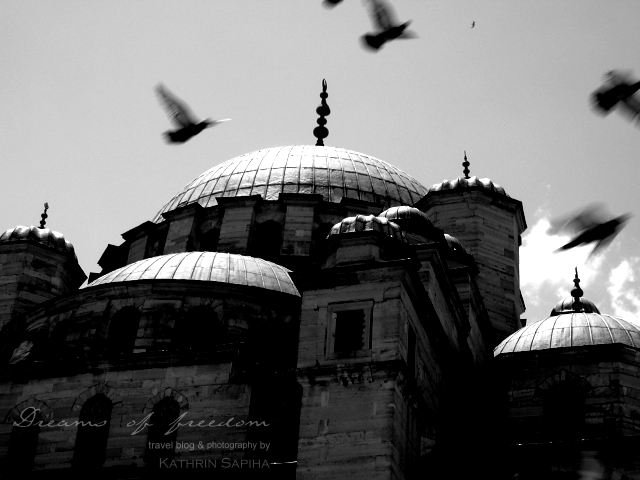 Istanbul is easily one of my favourite cities – there was something about it that I just found absolutely fascinating. I can’t wait to return someday and explore it some more. I think its somewhere that I’ll love more the more times I visit!